You have signed up on my pathology-related mailing list or followed my Facebook business page because, theoretically at least, you might be interested in what I have to say. Do you have topics you’d like to see covered—specifically about pathology in the context of massage therapy? You are invited to let me know. And please pass along anything I provide that might be helpful to colleagues or clients. Time is our most valuable resource. I promise to use yours carefully. 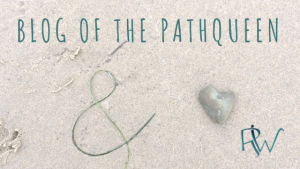 4 Responses to Blog of the Pathqueen #001: What’s On Your Mind? I’d love to see you do an article in M&B (or just here but yay to wide readership) detailing the Path Queen’s Dream Intake Form. What’s on that medical history section? Why? Break it down for us, Ruth. Anyway, my question is: Are there conditions that we can say massage has a true curative effect? Or is it more honest to say that we help clients manage symptoms, but it’s unlikely that we are speeding recovery? 1. How can we know whether something has a curative effect? 2. “Palliative massage” may be as restorative and as “curative” as any other type. I am reluctant to draw a line in the sand here.